Aeroform can produce virtually anything from rigid to flexible parts and components. Our products can be found in many niche markets such as sporting goods, medical equipment, furniture, ergonomics, and automotive. We never compromise on quality, and we never miss a deadline. We provide original equipment manufacturers with specialty urethane, fiberglass and composite components that perform perfectly—every time. Urethane foam can take many forms, our 30+ years in the field allows us to meet our customers' needs while keeping costs low without sacrificing quality. We bring art and engineering together to produce some of the cleanest, most durable parts on the market. Composites make creative solutions available that just aren't possible with other materials. They're non-conductive, flexible and strong, making them great for a variety of applications where metal simply won’t work. 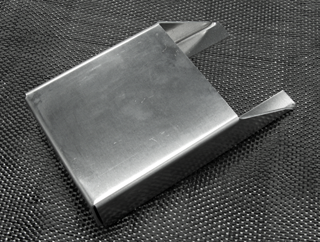 At Aeroform, we have a variety of processes and material options at your disposal. Our experts will look at several manufacturing variables such as quantity, size, shape, tolerances, surface finish and mechanical properties as we work with you to choose the best solution for your application. Before molded urethane and flexible polyurethane foams, vinyl-wrapped foam was the norm. Now we can make products with better performance characteristics that last longer. They cost less than outdated vinyl-wrapped foam products because our manufacturing processes are more efficient and require less labor. From simple to complex, Aeroform can make your urethane components in any shape and any level of hardness using our proprietary aluminum or composite tooling and silicone molds. Our products are designed to resist abrasion, wear and aging. They have to withstand the abuse they take. People walk all over our ergonomic work mats, smack the living daylights out of our batting cage balls, trust their safety to our handicap accessories and health care components, race around on our bike and motorcycle seats, and spend hours at a time with our office furniture and automotive components. Many molded foam products involve internal structures for mounting, support and rigidity. Depending on the strength requirements, we can create these inserts from many types of materials such as steel or aluminum. All of our CNC equipment, mills, press brakes, tubing benders and turret punches are programmed using the latest software. So whether you need a custom CNC machined handle, a powder-coated sheet metal cover or even steel tubing, we can accommodate it easily, efficiently and economically. Manufacturing technologies are constantly evolving. Our industry isn't the same as it was just two years ago. Manufacturing technologies are constantly evolving. Component materials are increasingly more sophisticated. By keeping up with—and staying ahead of—these changes, we're able to deliver cutting-edge components that continue to be cost effective. Our vision, our passion, is to continue to deliver unsurpassed innovation and unmatched efficiency.